Mary Arabelle McEvoy passed away peacefully, with family by her side on Wednesday, December 26, 2018 at the age of 74 years. Mary McEvoy (nee MacLeod) of Petawawa, wife of Howard Lewis McEvoy. Mother of Ann McEvoy (Bruce McNulty), Burnstown, Edward McEvoy, BC, Sinclair McEvoy (Abby), BC, William McEvoy (Stephanie), Munster Hamlet, Dennis McEvoy (Tiesha), BC, and David McEvoy (Lorann), Pembroke. Predeceased by daughter, Norma McEvoy. Nanny of Davey (Annie), Dennis (Johanna), Nikkita (Mike) & Joseph McEvoy, Billy Laughlin (Crystal) & Gerry Stearns, Jessie McEvoy, Isaac, Jessica & Jacob McEvoy, Edward & Braden McEvoy and Cassidy, Avery & Hunter McEvoy. Great-Nanny to Abby & Valek. Daughter of the late Roderick & Mary McLeod (nee Royal). Survived by four siblings and predeceased by nine. Survived by so many nieces & nephews. Respecting Mary’s wishes, cremation has taken place. 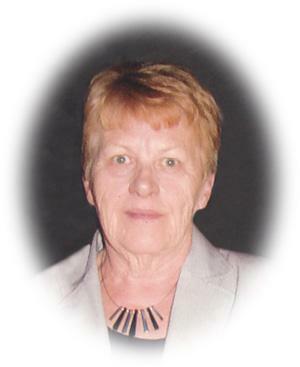 Memorial Visitation was held at the Malcolm, Deavitt & Binhammer Funeral Home, Pembroke, Ontario on Sunday, December 30, 2018 from 6-9 p.m.
A Memorial Service was held at Petawawa Presbyterian Church, Petawawa, Ontario on Monday at 2 p.m. Interment of ashes in Forest View Cemetery, Chalk River in the spring. As an expression of sympathy, donations to the Heart & Stroke Foundation or the Bernadette McCann House would be appreciated. Online donations and condolences are available at www.mdbfuneralhome.com.